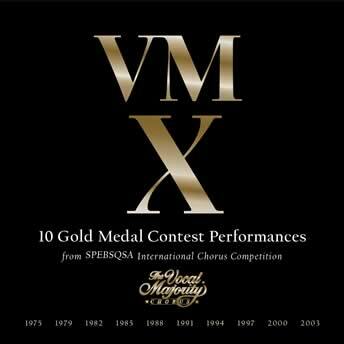 The Vocal Majority Chorus celebrates its tenth SPEBSQSA Gold Medal International win in July, 2003 with the release of this generous, comprehensive collection featuring all 10 Gold Medal winning contest sets performed from 1975 through 2003. In the 22 incredible a cappella tracks, we can experience the evolution of this institution of the Barbershop world. Recommended!